For a University the size and age of Leicester the Library has a surprising rich collection of incunabula (books printed before 1501). The invention of the printing press during the 15th century saw the beginning of mass production and mass circulation of texts and images across Europe. 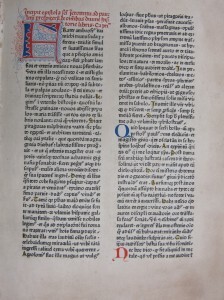 First page of Henreich Eggestein’s 1466 Latin Bible (SCD 00193-194). Our earliest printed work dates from the very early period of printing and provides us with a link to Johannes Gutenberg, whose invention of a printing press that used moveable type revolutionised book production in the mid-15th century. The book is a Latin Bible from the press of Heinrich Eggestein (c. 1415 – c. 1483) and was produced just over a decade after Gutenberg’s famous 1454-55 Bible, the first major book to be printed using the new technology. 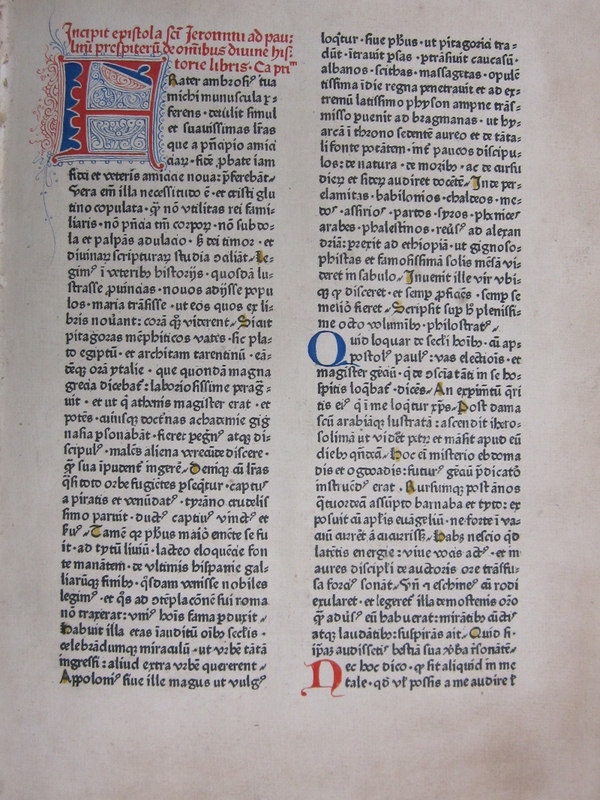 Eggestein is thought to have learned his trade from Gutenberg before establishing his own workshop in Strasbourg in 1465 from which he made a small fortune printing Latin Bibles. The Library’s copy of Eggestein’s 1466 Vulgate Bible was bequeathed to Leicestershire and Rutland University College by Caleb Robjohns (c. 1857 – 1929), a hosiery manufacturer whose father was minister of Narborough Congregational Chapel. Many of the Library’s impressive collection of late medieval and early modern Bibles and other religious works were donated by Robjohns, who was an obsessive bibliophile. A bachelor, he lived with a housekeeper who became so infuriated with the number of books he brought into the house she threatened to leave. In order to pacify the housekeeper but maintain his hobby, he took to throwing parcels of books over the garden wall and heading out under cover of darkness to retrieve them and place them on his shelves. 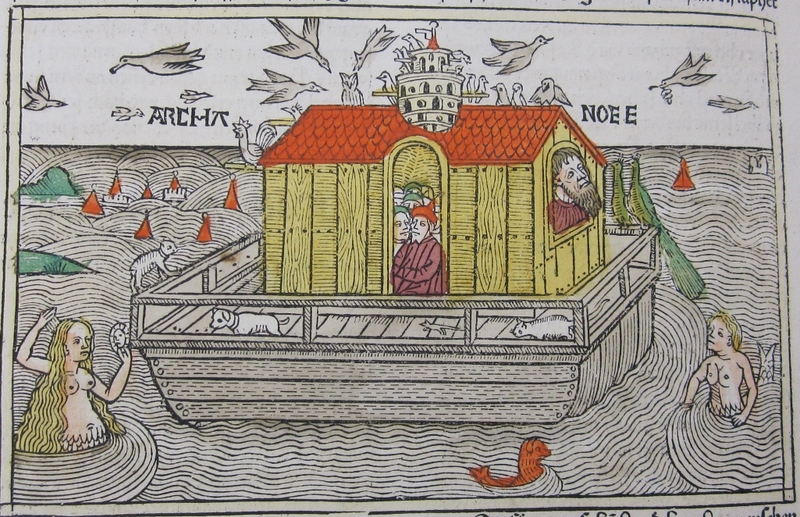 Woodcut of Noah’s Ark from Anton Koberger’s 1483 High German Bible (SCD 00243-244). Robjohns’s collection also included works from the presses of Anton Koberger (1440-1513) of Nuremberg, including a copy of his German Bible from 1483. Koberger is said to have employed over 100 craftsmen and owned 24 presses. 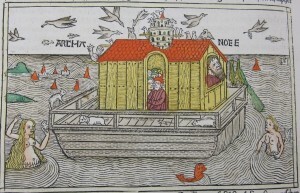 Like many incunabula Koberger’s Bible incorporates woodcut illustrations that were printed with the text and then coloured manually after printing. 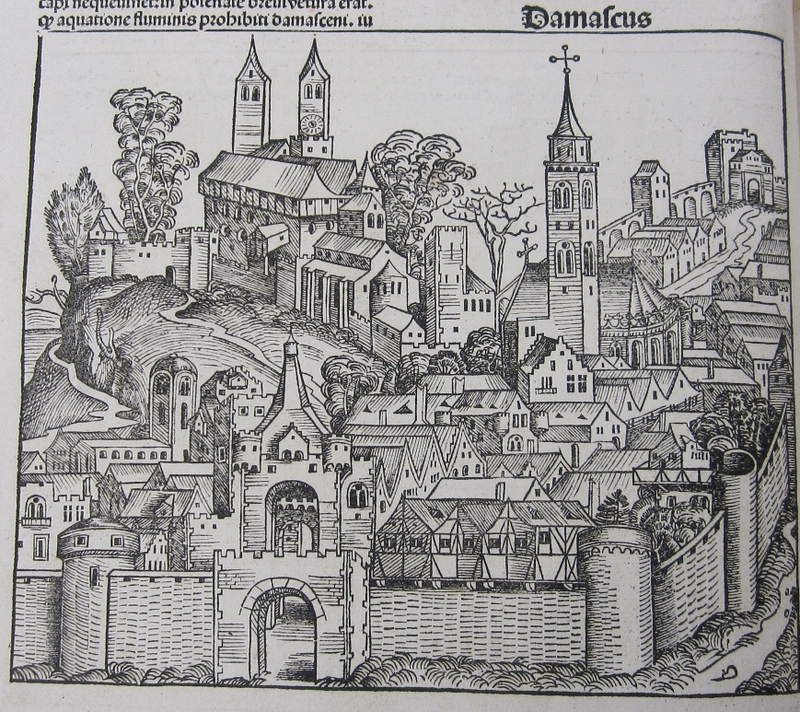 Koberger’s most famous publication was Hartmann Schedel’s Nuremberg Chronicle, of which the Library has an original copy published in 1493.The Chronicle is regarded as the most sophisticated printed book published before 1500 due to the different layouts integrating text and image in more ambitious ways than had been attempted previously. 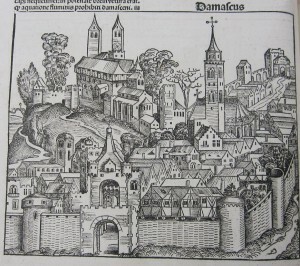 The many detailed and impressive woodcuts that illustrate the work were produced under the supervision of Michael Wohlgemut (1434-1519) and his stepson Wilhelm Pleydenwurff (c. 1450-1494). There is a link, here, to the famous Albrecht Dürer (1471-1528), godson of Koberger and apprentice to Wohlgemut between 1486 and 1489. A full list of the incunabula held in the University Library can be found on the Special Collections website. They can be reserved through the Library catalogue and consulted in the Special Collections reading room. This year, first year undergraduates from the School of History studying Early Modern Europe, and third years from Archaeology and Ancient History studying the Archaeology of World Religions have visited Special Collections to view some of the items. We always welcome staff and students interested in working with our collections either individually or in groups – it’s what we’re here for!